Operating Weight - 7760 lbs. Fuel Capacity - 10.6 Gal. 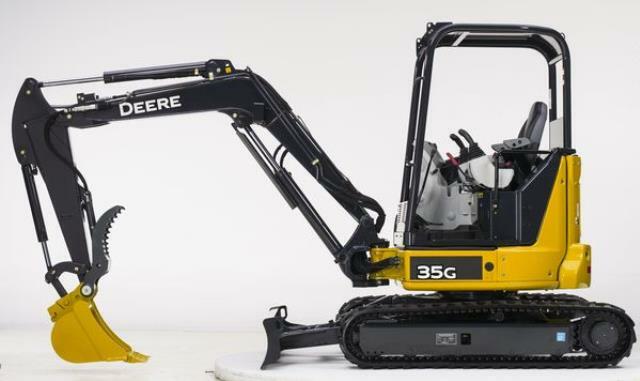 Maximum Digging Reach - 17' 1"
Maximum Dumping Height - 11' 5"
Total Width Including Tracks - 5' 9"
* Please call us for any questions on our excavator jd 35 open cab rentals in Hagerstown MD, Williamsport MD, Martinsburg WV, Waynesboro PA, Mercersburg PA metro areas.